Women at Church is a practical and faithful guide to improving the way men and women work together at church. Looking at current administrative and cultural practices, the author explains why some women struggle with the gendered divisions of labor. She then examines ample real-life examples that are currently happening in local settings around the country that expand and reimagine gendered practices. Readers will understand how to evaluate possible pain points in current practices and propose solutions that continue to uphold all mandated church policies. Readers will be equipped with the tools they need to have respectful, empathetic and productive conversations about gendered practices in Church administration and culture. The Church can really benefit for both members and leaders, male and female, reading this wonderful book by Neylan McBaine. She gives solid suggestions as to how we can work better together in the church and advocates a moderate but positive approach that an abides the current framework of the Church. In my experience this is something that is needed and would be welcomed by the vast majority of members. If we are truly going to build Zion we have to start to do better at recognizing and validating the role of women in the church and family by making them more visible and being more sensitive to the experiences they have as female members. It is only as a true partnership of men and women that Zion can move forward. I hope all leaders especially will pay attention to this from the ward right up on to the General leadership of the Church There are very engaging and powerful suggestions that will help sensitize us all if we can put those in place. 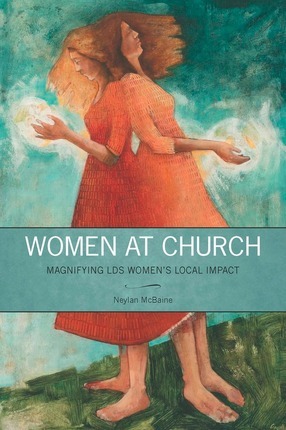 Neylan McBaine loves being a Mormon woman, but she also believes “there is much more we can do to see, hear, and include women at church.” She recognizes that the Church has been making efforts to better include women and wants members of the Church to get on board. Her book has two main goals: First, to identify and acknowledge the pain felt by some faithful sisters who'd like to be more involved with the Church. Second, to offer practical solutions to provide a more fulfilling church experience for women and men—solutions that fit within the Church’s current structure. McBaine engenders true empathy. 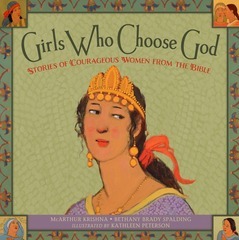 She also inspires faithful action. 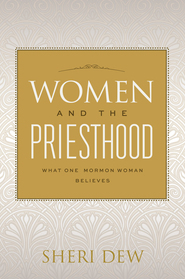 This is a potent combination for those looking to enrich the experiences of LDS women at church, be they bishops, Relief Society Presidents, Young Women's advisers, parents, and other members of the Church generally. Insightful, smart, engaging, faithful, and oh so relevant to what I view as the biggest issue to be facing our church community today. This book is all about Zion-building: being of one heart and one mind. I would encourage everyone to read it--across the spectrum of belief and activity. 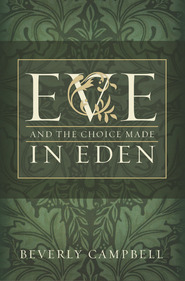 If you are less engaged with the church right now due to gender concerns, this book will help you feel understood and validated. You also will find (new!) constructive ideas and strategies that may inspire you to approach situations in a new light. I've read every blog out there about gender issues for the past 10+ years, so I wasn't expecting to find new material here, but I was wrong. On the other end of the spectrum, if you are 100% satisfied with how our church and culture currently operate, you will hear a faithful, well-respected woman offer fair, reasonable, and compassionate insights into why some women, and men, feel that all is not well in Zion. It is painful to hear about some of the negative experiences, but I think all church members would benefit from having greater compassion about these topics. If you've ever said to yourself "How can feminists say they don't feel equal in the church? I feel equal!" then this is the book for you (assuming you wish to better empathize with others who hold different perspectives from you). And, if you want to dip your toes into understanding these concerns, I can assure you that McBaine treats these ideas gently and carefully, always seeking to allow for a compassionate interpretation of the motives of all parties involved. McBaine seeks to uplift and unify, not tear down or divide, and there is nothing in the book that is meant to provoke, insult, or be inflammatory toward anyone on any side of the discussion. There is no implication that women who do not share these concerns are ignorant or blindly following their leaders, nor that feminists are unrighteous or don't understand the gospel. On the contrary, there is a strong emphasis on respecting and understanding one another. Another aspect that I found incredibly valuable was McBaine's "nuts and bolts" approach to improving communication and understanding on both sides. She promotes well-evidenced, effective communication methods and provides specific examples of ways we can work together to create a more Zion-like community. I have already purchased multiple copies of this book and have shared it with family members, friends, and priesthood leaders. I truly look forward to the discussions resulting from engaging the topics addressed in the book, as well as better understanding others' unique points of view. Everyone's contributions are needed in order to build our community, no matter where we fall in this debate. Some have criticized the book as relying too heavily upon the potentially arbitrary nature of local leadership to enact changes, and posit that what is really required is top-down, church-wide reforms in doctrine/policy. I understand that sentiment and to some degree long for more revolutionary changes. However, the paradigm that McBaine writes from does not demand new revelation or policies (not even changes to "the handbook"), but seeks to work within our systems and structures as presently defined. There is much room for personal revelation and innovation that I believe we as a church community are not fully considering, and McBaine points us toward a positive and exciting direction through her wise insights.